These facial cleansing brushes are made for men and women. These sonic spin brushes are often used pre-shaving to remove dead skin cells that cling on to facial hair. This results in a closer shave and allows the hairs to stand up for better clearance. The sonic brushes remove the top layer of the epidermis resulting in formation of new cells and a healthy radiant glow… the glow and color that most women look for. This also enhances the absorption of moisturizers and anti-aging treatments. While there is no doubt that these sonic facial cleansing brushes are excellent for non-rosacea skin, it cannot be over-stated how dangerous these can be on rosacea skin and those with pre-rosacea tendencies such as familial rosacea, frequent flushing and blushing, and hyper-reactive skin. Everything that makes sonic brushes exceptional for regular skin lie at the heart of how these brushes can cause irreversible harm to rosacea sufferers. Exfoliation: Sonic facial brushes are strong exfoliators. This is problematic for rosacea sufferers because exfoliation of abnormally thin rosacea skin results in even thinner skin and provokes an inflammatory response. This also tears micro-holes in the epidermis that allow many different forms of environmental insults to reach sensitive rosacea blood vessels and nerves. Unlike normal skin, this does not trigger enhanced growth and thicker skin. Rosacea skin may take days or even weeks to recover from one or two exfoliations. 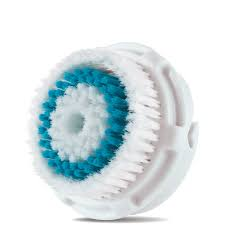 Increased Blood Flow: Sonic brushes are known for their ability to induce a day long “healthy-flush” in non-rosacea sufferers because it triggers blood flow in the superficial layers of the skin. 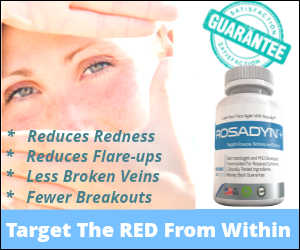 While non-rosacea sufferers love this healthy glow, this is dangerous to rosacea sufferers because this increase in blood flow usually triggers a strong, long-lasting rosacea flare. Even the most gentle bristle tips on sonic spin brushes and the slowest speed will induce a vascular flush in most rosacea sufferers. Aging Effect on Skin: These same brushes age the skin in rosacea sufferers because they activate inflammatory enzymes that actually break down collagen and elastin instead of renewing them and building them up like they do in normal skin. Actions on Sensory Nerves: These sonic brushes irritate sensory “burning nerves” and “itching nerves” located in the surface of the epidermis. These uncomfortable sensations can last from a few hours to all day long. This can be quite painful — mimicking a bad sunburn — this is not the way you want to spend your day! Have you ever used a Sonic brush, spin brush or hybrid sonic-spin brush? If so, what was your reaction? 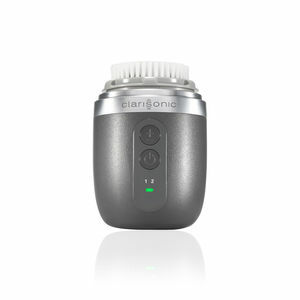 Can you use a Sonic brush once a week like a facial to deep cleanse or does that trigger a long-lasting flare? For those who have had success with Sonic brushes, what brush was the gentlest and most effective? Did you use anything else to help reduce trauma to your skin?